If you want to add some excitement to help break the ice at your holiday gathering, there are some fun games you can play. This guide is about Thanksgiving game ideas. Every year, our Thanksgiving is dull. From someone looking in on it through the window, it would look full of warmth with a huge Norman Rockwell feast but the problem is entertainment. People never know what do with themselves. Half of them are from the upper crust from Palo Alto, real into achievement. The other half is more easy going (you get the picture). 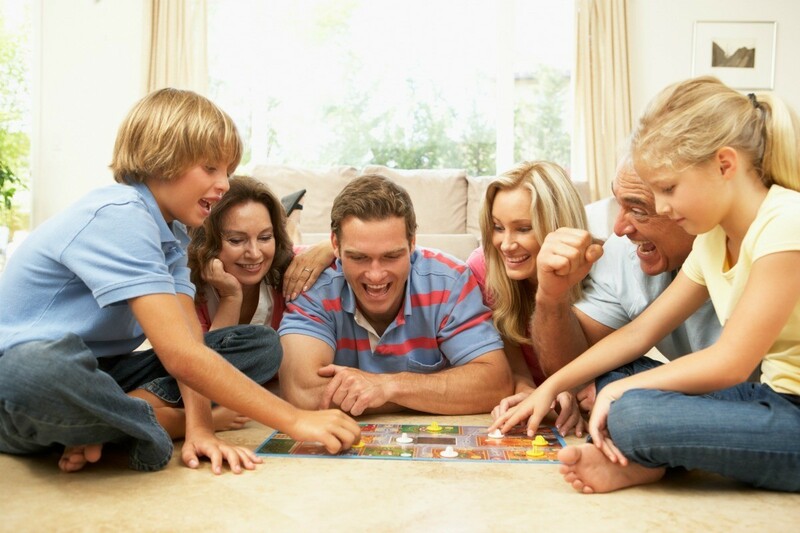 Any help on good non-competitive board games or other entertainment? Usually we play Trivial Pursuit but that never goes over well. Everyone plays real cutthroat and it's a drag for most of the kids and non-competitive players. I would say "Uno" but I swear that my mom and sister-in-law get into it, every time we play this. Try "Scattergories." You roll the dice and whatever letter shows, you have to use that letter for every category. It's really fun for all ages. Or try a game that pits the guys against the girls like "Battle of the Sexes". It won't matter about economics when the girls gang up against the guys. Have you tried the game called "Balderdash"? It's a lot of fun. Everyone old and young can play it and there isn't a lot of skill, just lucky guessing involved. You are given a very strange word that NO one has ever heard of and the dasher reads the word. All of the players make up a definition for that word and then vote on which one they think is the right one. It gets pretty funny because NO ONE has ever heard of these obscure words. We have a ball with this at gatherings. We used to play "Who Am I?". Someone would think of names for each of the players and the name of the movie star or famous person would be pinned on the person's back. Then you asked yes or no questions. We had a lot of fun with that. A game called "Fish" played with double 12 dominoes is fun and can include lots of people. You start by each player drawing 7 or so dominoes, leaving the rest in the bone pile. Lay down the highest domino double, double twelve, double eleven, or work downward. That is your base, and the next player clockwise must play off of this "foot". Once 3 dominoes matching the double have been played, then any domino matching an exposed end can be played, until someone lays down another double, at which time another "foot" must be completed. Object is to be left with the fewest spots to be counted as points, or in other words, get rid of all, and especially your high counting dominoes. You can set game points for as high as you'd like. If you can't play, you draw a "bone", and if it won't play, you are skipped and the next player plays. It is almost addictive. The fun of it is that no one knows what is inside the gifts, and people just choose based on what they think is a good one. Some people are convinced that certain ones are terrible and certain ones are wonderful. And some people are lucky to get nothing at the end because when we've unwrapped them at the end of the fifteen minutes, I've seen battery operated heated socks, fake pearls, a partially mouse-chewed butter churn. . . It's great fun. Another fun game from Grandma is a scavenger hunt in one room of the house. She hid little things in obscure places for people to find. A couple things were a white string - hidden on a cat statue as whiskers, a penny - hidden on the forehead of an Egyptian-type statue. I guess things aren't really hidden, they just blend in with the background. People walk around the living room, with list in hand, trying to see the hidden items. And whoever gets the most items, gets some kind of prize. And with younger kids, we play cards. Whoever wins each round gets to choose something from a junk/treasure pile. For nicer weather outside: croquet, football, frisbee, baseball. If your yard is big enough, tag football. You could use streamers to tuck at your hips or tie on. Grabbing the streamer would be simple to do. Go to the dollar store for these. Varied colors and cheap! Make a thankful tree and give each guest a leaf shape piece of paper to write what they are most thankful for. Read them before, during or after your Thanksgiving dinner. You'll be surprised at the listing and learn something about the people you love. Maybe a puzzle would be good. It gives people something to do with their hands which can make them more relaxed and chatty. And since it can be done over time, you don't have to have organize everyone. Put it out when everyone arrives so it can be done by the time people head home. It's a nice feeling when it's done because it was accomplished as a group. Left Right Center is a fun game everyone can play. All you do is roll the special dice. My family plays with 3 quarters. Everyone looks forward to it especially the kids age2-15 enjoy it and It's lots of fun!!!! sunday school party. It is so much fun, lots of laughs. Adult age. We got ours at Wal-Mart. How about Bunco? It's easy to play, teams people up, can be played by anybody, and is really fun! "My Most Embarassing Moment" can really bring laughs and warmth. I second the suggestion of 'UNO', Kids play by color or number. Also consider 'Michigan Rummy', this is when the button box comes out when we run out of chips. Try 'mille borne'sp? card game. I have found Pictionary in teams of 3's or 4's is great entertainment for all ages (except the very tiny ones) It's an all time favourite with most parties ..